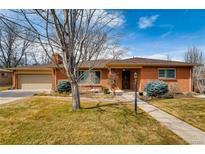 Below you can view all the homes for sale in the Holly Hills subdivision located in Denver Colorado. Listings in Holly Hills are updated daily from data we receive from the Denver multiple listing service. To learn more about any of these homes or to receive custom notifications when a new property is listed for sale in Holly Hills, give us a call at 720-580-6828. 4 Beds~3 Baths~New Paint~Central Air~Eat-In Kitchen~Newer Stainless Steel Appliances~Newer Windows~Hardwood Floors~Custom Blinds~Huge Yard~Plenty of Storage~Quiet Street~Close to the Highline Canal. This one won't last! MLS#8576801. RE/MAX Professionals. HOA Rules - Pets are allowed Up to 2, to not exceed total weight of 40 lbs. MLS#1659297. TBK Real Estate Solutions, LLC. This home is a must see! 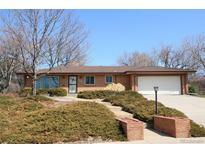 MLS#7024800. RE/MAX Professionals. Recent sales in neighborhood in the $500's and $600's. MLS#9457722. Preferred Properties Inc. The house only gets better as you go down stairs to a massive man cave or lady lair, two bedrooms and huge hallway bath, extra storage room and separate hvac storage areas! This home is a showpiece! MLS#2117287. Search Colorado RE LLC.